What are the legal rights to ancient documents of editors, archaeologists, curators, or modern states? In the light of recent controversies, this collection emphasizes the status of the Dead Sea Scrolls. The Dead Sea Scrolls were found in Palestine, recovered in Jordan, and largely edited by an international Christian team who prevented public access to unpublished manuscripts. Subsquently, the state of Israel, which had already purchased many of the Scrolls, has assumed responsibility for all of them. Most recently, one scroll editor has claimed copyright on his reconstruction, instigating a lawsuit and introducing serious implications for future Scrolls scholarship. 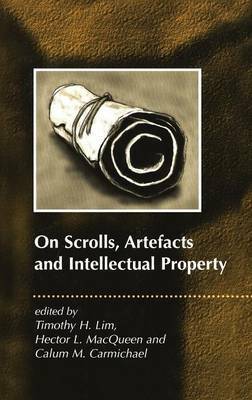 This volume looks at international copyright and property rights as they affect archaeologists, editors and curators, but focuses on the issue of 'authorship' of the Scrolls, both published and unpublished, and the contributors include legal experts as well as many of the major figures in recent controversies, such as Hershel Shanks, John Strugnell, Geza Vermes and Emanuel Tov. "Those who have followed the battle over the publication of the Dead Sea Scrolls will be interested in this book..."